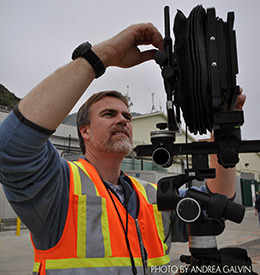 Stephen Schafer is an architectural photographer with over 25 years of experience, coupled with the unique equipment required to produce photographs in remote and difficult locations. Ready to complete HABS, HAER and HALS surveys for local, state, and federal programs requiring large format film or digital formats. Schaf Photo is based in Ventura, California and serves the western United States, Hawaii and Guam. Photographs: The applicant must submit a sufficient number of good, clear photographs with Part 2 to document both interior and exterior conditions, including site and environment, prior to any rehabilitation work and to show the areas of proposed or completed work. Photographs of "before" conditions must be submitted even if the rehabilitation is completed; such documentation is necessary for the NPS to evaluate the effect of the rehabilitation on the historic structure. Where such documentation is not provided, review and evaluation cannot be completed, resulting in denial of the requested certification. Elevations and interior features and spaces of the buildings should be shown. Photographs should be numbered, dated and labeled with the property name, the view (e.g. east side) and a brief description of what is shown; photographs should be keyed to the application narrative, where appropriate. In many cases, it may be helpful to mark directly on the photographs the areas of proposed or completed work. Photographs may be black and white or color, but must show architectural features clearly. For clear documentation, 35 mm photographs are recommended. Photographs are not returnable. Check with the SHPO about whether or not a duplicate set of photographs is required for state files. o In California, photographic documentation submitted with applications should be in the form of conventional 4x6 color photographs. o Photographs must be labeled on the back with the following information: address and building name (if applicable), view (e.g. north side), and description (e.g., plaster damage in dining room, north wall). o Photographs must be numbered and keyed to the description of proposed work on the Part 2 form and keyed to a plan(s) of the building. o Applicants must use their own judgment as to how many photographs adequately “tell the story” of their building. Larger projects require more photographs to provide detail shots or to illustrate the various elements and areas of a large building or complex. o Photocopied photographs and instant photographs are not adequate for review. If an applicant cannot supply better photographs, the SHPO and the NPS may not be able to evaluate an application, and the application may be denied certification of rehabilitation. 1. Several photographs of the site and setting of the historic structure(s). This should include photographs taken both up close, showing the individual property site, and from a distance, showing the street setting of the structure(s). 2. At least one photograph of all existing elevations showing the entire elevation. This includes all structures affected by the proposed rehabilitation, such as carriage houses and outbuildings. Elevations that are partially blocked by adjacent structures or trees may require photographs to be taken from several different angles or locations to completely document these elevations. 3. Detailed close-up photographs are needed of specific architectural features affected by the rehabilitation, such as windows, doors, balustrades, trim, etc. Submitting several representative photographs of multiple features, such as windows, is acceptable providing the photographs submitted adequately represent the condition throughout the structure. 4. Photographs of all interior spaces should be taken with a wide-angle lens from diagonally opposite corners of the room. This includes all interior spaces affected by the rehabilitation. If like spaces or rooms exist, such as floor after floor of warehouse space, then submitting several representative photographs documenting the condition throughout the structure is acceptable. The above excerpt is not comprehensive, but it does provide an overview of what is expected by for the Part 2 Photographic Documentation. It is important to be aware of is that the Part 2 Photographic Documentation will be the primary record of the project as the tax credit project proceeds. The State Preservation Architect at OHP may or may not visit the site, but the NPS reviewer is located in Washington D.C. and very seldom visits a distant project sites, therefore, the photographs will be the common visual reference when questions arise concerning the buildings condition during rehabilitation work. As Tim Brandt at the California OHP told me, "I get on the phone with Washington and spread the photos out on a table and go over them together." Distance shots including at least two perpendicular elevations with surrounding setting. Courtyards and details of courtyard furniture and decorative plaques. Streetscape and building frontage on streets, alley ways or vacant property. Immediately adjacent structures or vacant properties. Site of proposed new development. Panoramic shot of the roof and each of the four elevations (if possible) if not overlapping sections with clear transitions. Close up shots focusing on portions of the façade with major architectural projections such as the north or south wing of the primary elevation. Shots of major architectural details such as entry doors and surround, balconies, and third story colonnade. Details of any unique windows, chimneys, or openings. One shot of typical details, repeating windows, grills, corbels, pilasters, lighting fixtures and doors. Photos of all area that will be affected by proposed work. Shots of condition issues: broken, water damaged, missing features, deferred maintenance, and incompatible replacement or repairs. All exterior fixtures and equipment attached to or in proximity to the structure. Black and white or color photographic prints of the entire property; include both exterior and interior spaces and features. The set of images shall include at least two full-room views of each room (generally one image taken from opposing corners is sufficient) and as many views of architectural details necessary to document the character defining features of the structure(s) and site. Include images of any original hardscape or landscape features and the existing conditions of all yards/open space that are part of the property. Images may be digitally obtained and printed onto high quality photo paper in 3 x 5, 4 x 6 or multiple image letter sized sheet format. There shall be one 8 x 10 printed image of the overall structure/property (view that best captures the property – e.g. 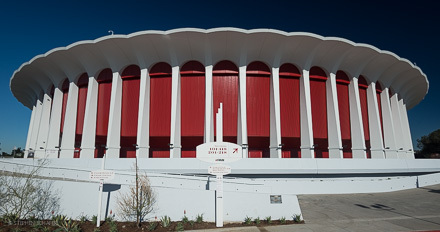 front facade). 3 x 5 or 4 x 6 prints shall be loose/bound with a rubber band. For larger properties, organize the photographs in a binder using plastic sleeves or photo guards. Labeling Photographic images may be printed onto letter sized paper (maximum of four images per page – single sided) with each image labeled according to view and content. Each page shall also identify the property address, date of photographic images and photographer. Individual photographic prints shall have mailing sized labels affixed to the back side, upper left-hand corner of each print. The labels shall contain the identification of the room or subject, property address, date of image and photographer. All labels shall be printed. Traditional photographic prints shall be accompanied by a set of 35mm negatives. Digital images shall be submitted on a compact disc, in addition to the printed images. Disc images may be in color – all printed images shall be in black and white. ●STAY in the public right-of-way. No trespassing onto private property. ●Position the camera to avoid trash containers, litter, people, animals, car mirrors, car windows and reflections, surveyor’s hats, arms, hands, fingers, etc. ●Take one photograph of every resource recorded, even if the resource is not visible behind walls, landscaping, etc. ●Try to fit any related features (i.e. garages, landscape features) in the frame with the primary resources. Take additional photos only when absolutely necessary. ●Try to keep the resource front-lit. Keep the sun over your shoulder whenever possible, and plan your survey route accordingly. ●When photographing buildings, remember the acronym FRoWSE, which stands for Foundation, Roof, Windows, Siding, and Entrance. Try to capture as many of these elements within the frame as possible. ●Take photographs of resources from an angle (oblique - two sides). This way, you capture valuable information about the size and depth of the resource. ●Let the resource fill as much of the frame as possible while still giving the resource context fill the frame 80% with the resource. ●When recording historic districts, in addition to photographing all contributors take context views to include representative streetscapes which show the relationship of the buildings to each other, setbacks, building heights, landscape and hardscape features, etc. 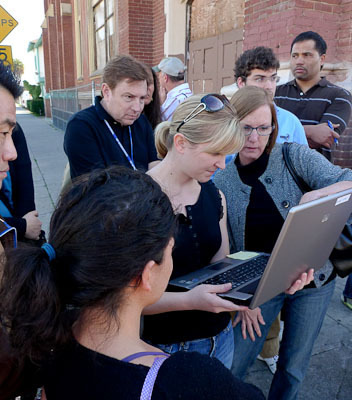 To facilitate efficiency in the field, SurveyLA methodology calls for context views and photos of non-contributing buildings to be taken by volunteers. ●While you may need to provide some written information about the photo (i.e. if only part of a building is visible from the public right-of-way you may need to explain the view) do not spend excessive time writing photo descriptions. 1. Photos will be taken both by professional field surveyors (i.e. historians and architectural historians) as well as volunteers/interns. 2. We hope to have minimal time spent on photography. There are 880,000 parcels in LA so surveys will need to proceed quickly. 4. I think we are generally looking at one photo per resource so we need to give instructions to get the best photos in the least amount of time. 5. I like your suggestions for giving recommendation on how to proceed methodically in a historic district. Note: Suggest that surveyors NOT make obvious the fact that they have expensive equipment. Sometimes it may be wise to downplay your dress, however on busy streets surveyors should always be in teams and may wish to wear NEON safety vests. Early morning may be the best time to survey residential neighborhoods, because people are still asleep. Sometimes it is faster to photograph single houses in neighborhoods from across the street, and then walk back and do the data-input part of the survey on the tablet. Jpeg compression setting: High (fine) (large) Quality setting for jpegs. Most teams are using cameas that record to SD cards. s when opened in Photoshop. Stephen Schafer was honored to create the photographic guidelines for SurveyLA, the online tutorial is here on our website. Unlike HABS photography, National & State Register Documentation does not need to achieve a 500 year archival permanence target. Register photography can be captured on medium format, 35mm and now digital cameras. 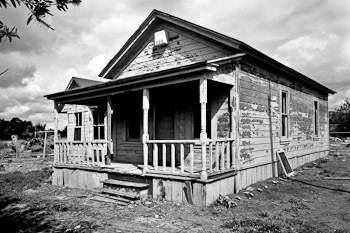 Photographs submitted to the National Register or State programs are expected to last at least 75 years (but longer is better) before showing significant signs of fading. Black & white prints have been required since the National Register began but color images of certain types can now be used in nominations. The 2005 NR photo policy update expanded acceptable documentation to include black & white ink-jet photo prints made from digital cameras in addition to conventional black & white prints from film, provided the digital ink-jet prints demonstrated a 75-year permanence standard, and color prints made on photographic paper with archival inks if the original digital files are included on a CD or DVD. 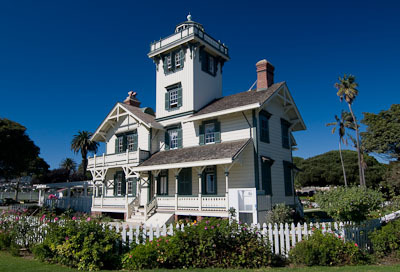 The NRHP and California State Register photographs submitted as official documentation are kept by the National Park Service (and/or sometimes the SHPO) and used (in perpetuity) for publication and other purposes, including duplication, display, distribution, study, publicity, audiovisual presentations, and display on and distribution via the Internet. Note: this usage is more expansive than the "standard" image use for images produced by many commercial photographers. HABSPHOTO.com is accustomed to this expansive usage in perpetuity, however some professional photographers may not feel comfortable granting such universal permissions to the National Park Service, or they may want to charge additional usage fees; be sure your photographer understands UPFRONT that these photographic uses apply so that the they can quote accordingly. Many photographers have strict controls on the usage of their images and to avoid confusion, the NRHP’s usage requirements should be made clear to your photographer BEFORE THE PHOTOGRAPHY is contracted. (Note: HABS/HAER/HALS photo submissions require the photographer to put their photos into the Public Domain, and sign away copyright to their images.) As stated above, a minimum 75-year-permanence standard is intended to ensure the longevity of NR documentation, and applies to all forms of photo-documentation, however the old standard of black & white images printed on silver-emulsion fiber and resin-coated (RC) papers is still acceptable. (Photographs printed on RC paper have been accepted since the early 1980s). As of March 2005 (and the April 2008 Revision draft), black-and-white ink-jet prints produced from digital images also are acceptable if all original electronic files are included with the submission on a CD or DVD. Because of the very specific digital printer and paper requirements, file naming, digital management and the addition of an image CD or DVD – We now produce about half of our NR photography on film and half on high-resolution digital cameras, and submit RC or digital prints with a DVD of the original Tiff files. Who will determine if a resource is eligible for the National Register? In California, the State Historical Resources Commission (SHRC) a nine member review board, appointed by the Governor. A staff historian from the review unit at the State Historic Preservation office (SHPO) will determine the potential eligibility of the property and create a staff report for the Commissioners supporting the nomination or recommending denial. They will be looking for answers in the photographic and written documentation submitted to them. The Historians looking at your nomination should be able to take a magnifying glass to the prints (and they often do) and read small signs and see details in highlights and shadows. The Commissioners will review the images in their meeting documentation packets and again on a Powerpoint slide of unknown quality since the meetings move around. The best way to illustrate the significance of a resource is through meticulous documentary photo surveys and well-lit, sharp, 5x7 prints. Little 3x5 prints from K-Mart might be fine for your photo album, but the bigger and better the photographs in your nomination, the better your chances of a successful National or State Register listing. The minimum camera requirements for this photographic guidance are a 35 mm camera or digital camera. The digital camera should be at least a medium-resolution camera which constitutes the majority of consumer digital cameras. A primary requirement of an architectural photograph is that vertical lines that are parallel in the building should be parallel in the photograph. In other words, the outside walls of a structure should not appear to converge toward the top of the photograph making the building look like it is falling over. This is especially important in elevation photographs. Convergence occurs when the photographer tilts the camera backward to get the top of the building in the photograph. To overcome convergence, you should hold the camera so that the back of the camera is vertical, at a 90-degree angle to the ground. This insures that the plane of the film, in the back of the camera, is parallel to the plane of the building. You should use Kodak Royal Gold color negative film of ASA 200 or ASA 400. Black and White film is found to be much greater archival stability, so for negatives intended for archival storage, the use of black and white film is preferable. Since color information is often more useful for planning and design, the use of a second camera body and the shooting on color and black and white would be ideal. It is now recommended that a complete set of digital images be made when the film is processed, a service that is now often quite common and reasonable. These digital images may not be at the resolution of the film, but they are more useful than film for filing of images in a number of places, and dissemination of images with no loss of resolution. There are three levels of FEMA photographic documentation. The minimum level is the minimum number of photographs needed to record a three-dimensional built form. The basic level is the type and number of photographs needed to record as much information in as few images as possible, and the expanded level is the type and number of photographs needed to make a complete evaluation of integrity. 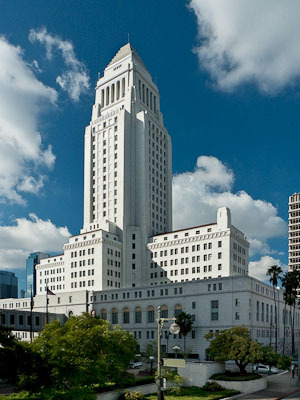 At a minimum, two perspective (oblique) photographs are required to document a building or structure. 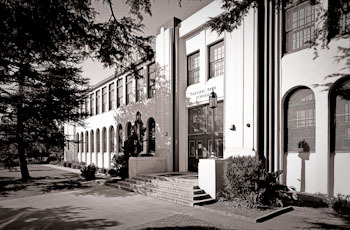 These include a photograph showing the front and one side of the building and a second photograph showing the rear and the other side of the building. 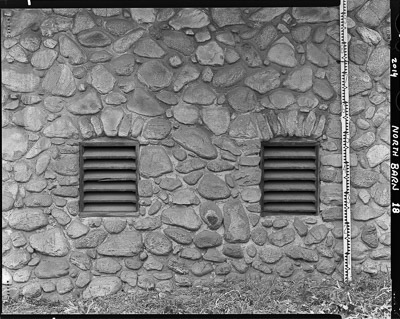 These two photographs document all four sides of a building. If photographs will be taken in cities and towns where the buildings are at high densities along streets and it is not possible to get a rear perspective. In this situation, the second photograph should be an elevation and a third might be an important architectural detail. The most widely recognized guidelines for photographically documenting historic resources are those of the Historic American Building Survey and the Historic American Engineering Record (HABS/HAER) of the National Park Service. For FEMA, the initial survey will probably concentrate on the exterior. Integrity decisions are made of the basis of the exterior for two reasons. The first is because the exterior of an historic resource conveys the most information about the aspects of its integrity. Secondly, and very practically, because in a response phase you will only have time to document the exterior of a resource and will be taking photographs before interiors have been certified as safe to enter. The exterior is also important because a resource cannot have lost its integrity on the exterior and still retain overall integrity. 1. A view from the main entrance looking to the interior of the building. 3. Other significant rooms or features as considered relevant to documenting the structure. Since you will be working under intense time pressure with FEMA – to document as many buildings as quickly as possible – you should approach each structure with this checklist in your mind (of the five basic exterior views and three basic interior views). You should determine whether to expand this basic level of documentation depending on the nature of the structure being photographed and what needs to be documented. For example, two perspective photographs work best on square or rectangular structures with four outside walls. A structure of more complex shape, with more outside walls, such as C-shaped building, will require more perspectives to insure that all of the walls are included in at least one photograph. In doing the walk-around to become familiar with the physical characteristics of a historic property, you also need to evaluate the physical damage – where it is and how extensive it is. You should plan your photography to include both the most damaged part of the building and the part that remains most intact. In order to accomplish this you may need to expand the number of photographs in the FEMA basic guidance. For example, the circular motion of hurricane damage can be so tight that it will take off one corner off of a building while leaving the rest intact. You should try to photograph important features of a building if they have been blown off from wind damage, but still remain partially intact. Although we will discuss the documentation of aspects of integrity by type of view below, the organization of views at this expanded level are from views of the overall building to the closer views of architectural elements and details moving in a counterclockwise fashion. (As indicated, this is the sequence for detailed HABS/HAER coverage). Each side of the property is photographed from the overall view, such as elevation, to detailed views in the zoom lens manner of looking at a property as discussed above. For documenting integrity, this sequence specifies an approach that can be varied depending on the complexity of the building. Remember, however, that these are guidelines to be modified depending on the building, or structure, and its environment. It is essential to organize your documentation according to the FEMA guidance levels and maintain a list of captions of your photographic or digital images. A photo index in which exterior photographs should be listed in the same counterclockwise sequence in which the photographs were taken. Since the final photo index will be organized this way, it makes sense to organize your preliminary “shoot” list in this same manner. A “shoot list” is the list of photographs you plan to take after you have surveyed the building making the circular walk on the outside and walking though it. When doing more than the minimum two-shot documentation, it critical to plan your photographs for three reasons: after you start you can easily forget what you have photographed; once you start shooting you will see views you had not anticipated; and it is the basis for your index and description of views.